I would like to officially introduce to you Olivia Catherine. This time, it was not a dark and stormy night. It was a bright and sunny morning. 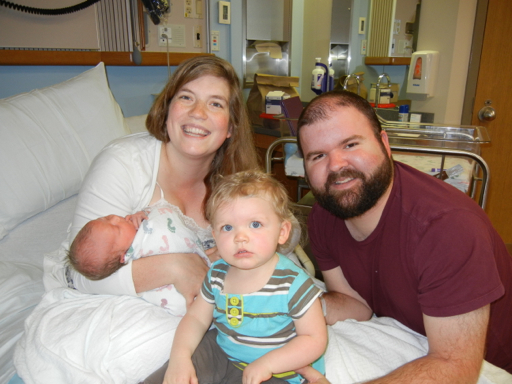 Our oldest daughter was 2 weeks early, and everything that I had read and heard told me that second children come earlier and faster than your first. So, at 37 weeks, I was prepared. I had been having contractions on and off for about 2 weeks, went to labor and delivery only to be sent home in a fit of tears because this baby was not in any hurry to arrive. 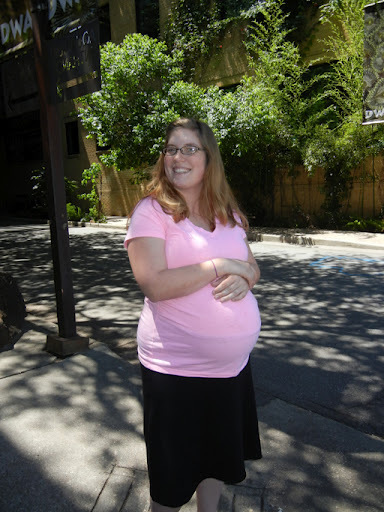 I was 2 cm dilated at 37 weeks, and by 40 weeks, that hadn't changed. Thankfully, this time my blood pressure was awesome and I was not having any serious problems, so my doctor scheduled me for induction at 40 weeks and 4 days. I was so frustrated by that at first, but I am so thankful to have had those days with Isabel in hind sight. The day before our scheduled induction, we took Isabel to the Dallas World Aquarium. I was still in hopes that walking might entice Olivia to want to come on her own, but she had other plans. Because we knew when we would have to be at the hospital, my mother in law was able to be here for the weekend before. She helped me around the house, played with Isabel, and helped to keep me distracted from the waiting for baby. Monday morning, we were scheduled to be at the hospital at 7 am. The night before, I was anxious. There really is nothing like blissful ignorance, and this time I knew what to expect. So, of course I stayed up far too late so that I wouldn't lay in bed thinking, and then that night Isabel cried, the cats went crazy, and Drew and I got very little sleep. But we were up and ready to go and got to the hospital in plenty of time. After arriving at the hospital, I was checked in to a nice room, answered a thousand stupid questions like "are you currently using cocaine or heroine" and "does your residence have running water and electricity", and settled in to wait for the doctor to make her rounds. My mom came to the hospital after I was all checked in and kept me company. I decided that if she wanted to be in the room when Olivia was born, that she was welcome to do so, and I think she was surprised by that. We had lots of visitors that day - aunt Jerri, Meme and Papa, our pastor Brent and my Aunt Mary. 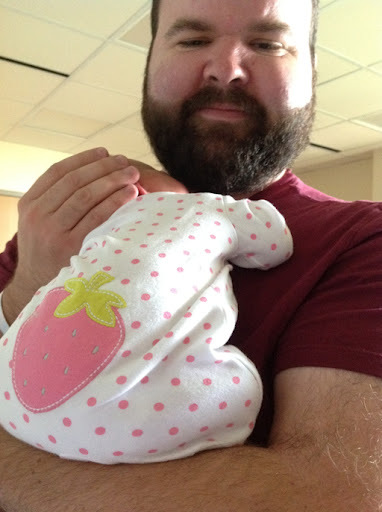 It was nice to have some distractions since an induction can take a long time. I was having very regular contractions, but they weren't very painful at all. Olivia did not like contractions at all, and her heartbeat would dip with each one, so the nurses had me in several different positions and even put me on oxygen to help level out her heart rate. At about 5:30, Dr. Reyna came in and checked and decided to break my water. I laughed when I heard the nurse say "I'll say large amounts of fluid... Wait, I'll change that to copious." Just like last time, the contraction after my water broke was exponentially more intense. A couple hours later and I was so very thankful that God had allowed some brilliant person to come up with the idea for an epidural. I went from extreme pain to uncomfortable pressure in a matter of half an hour - and the crazy thing, the anesthesiologist who did my epidural was the same woman who did my epidural when Isabel was born. Becky did a great job and I was still able to feel my feet and move my legs! My mom decided to go have dinner with my dad at around 10 pm. Shortly after she left, Dr. Reyna came in and checked my progress again. She said I was 8.5 cm dilated and she would come back in an hour to check. My mom got back about 11:15 and the nurse came in to check just after that. I was feeling a warm sensation and when the nurse checked, she said I was 10 cm and fully effaced and that the baby's head was very close. 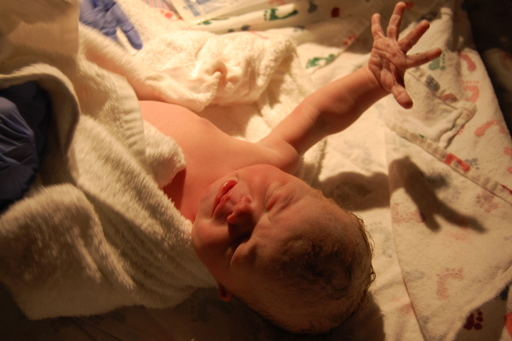 Nurses began fluttering all over the room preparing things for the birth and for baby's arrival. My nurse, Kayse, had me push through 2 contractions and decided that the doctor needed to be there for the next push. She told me to wait and to not put my legs up because she was afraid the baby would come out before the doctor came in!! As soon as Dr. Reyna got there, 2 more pushes and Olivia was here!! 15 minutes of total pushing time - a far cry from the 2 hours with Isabel! 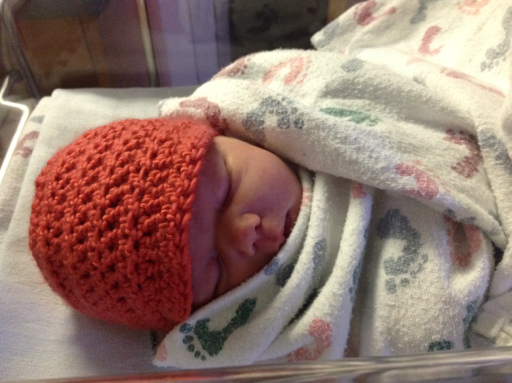 Olivia arrived at 12:25 am on April 4, weighing 8 lbs 9 oz, 20.25 inches long. 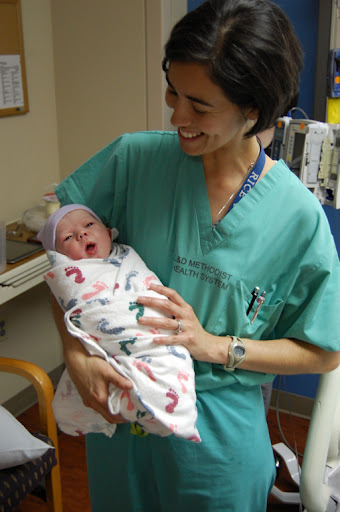 This is Dr. Reyna with newly born Olivia. 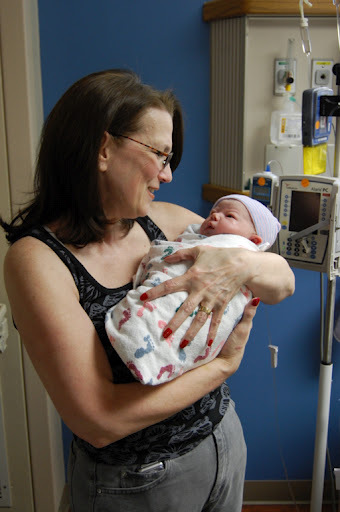 And a very proud and excited Nana who got to witness the birth of her second granddaughter. Daddy was able to cut the cord again and was a proud, happy daddy with a tear in his eye. The pushing went so fast and the delivery seemed so much easier than my first. It was like night and day! 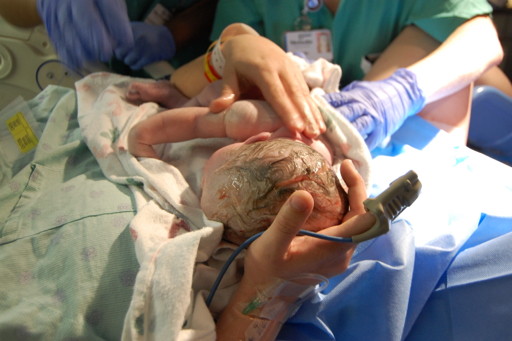 If my first had been like this, I would not have had a bit of anxiety about childbirth again! 14 hours from the administering of pitocin, but the easiest delivery I could have asked for. I am an overjoyed Mama to have the 2 most beautiful daughters. Praise God from whom all blessings flow!